Ruth I just finished the book. Most excellent my friend! I especially liked the Afterward and Final Reconciliation…it truly brought perspective that tied it all together. Forgiveness and understanding, not always in that order, bring peace that heals. It is so freeing! 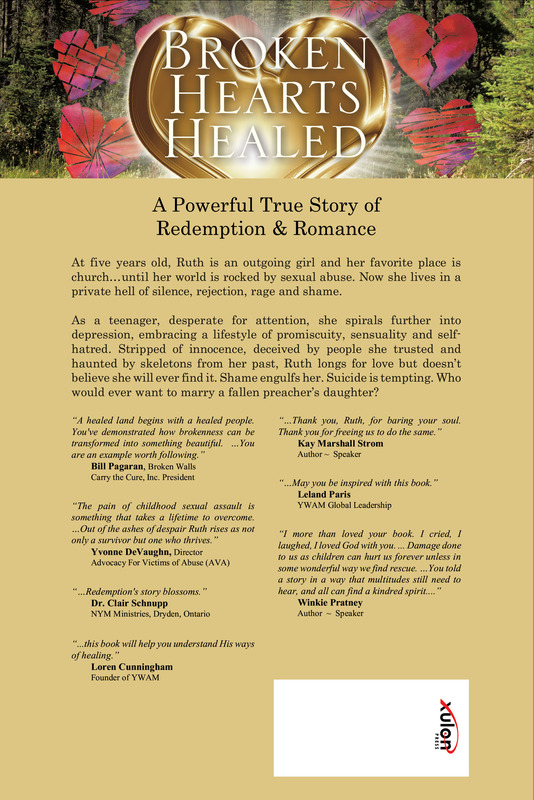 I am so proud for you to have brought your story to the world to see God’s healing love. You are a blessing….looking forward to your second and third editions….